The Essential Qualities Of A Legend - Hero. Home Acre Of Legends League Of Legends Legends Habits Live Your Legend True Legends The Essential Qualities Of A Legend - Hero. The oxford English dictionary defines a hero as “a person, typically a man, who is admired for his courage, outstanding achievements, or noble qualities.” Both the history of the mankind and the world literature are rife with characters who have exhibited the virtues mentioned in the definition, in fact many more and have been admired, adored and revered by the entire human race. Yes, we all have read about heroes like those in the Greek or Norse mythologies and all their deeds are engraved in our minds as the paragon of heroism. However, it is also true that the world has witnessed many heroes who like all of us were crafted in blood and flesh yet by virtue of their qualities attained godhood. Albert Einstein referring to Gandhi once quoted “Generations to come will scarce believe that such a one as this ever in flesh and blood walked upon this earth.” However, the question is what are those essential qualities that make a person hero? Different people have different heroes whom they look up to or try to emulate. However, whoever they may be, sport stars, film stars, politicians, social activists or businessman they all do possess certain qualities which set them apart from the commoners. Read this article to learn what essential characteristics or qualities a hero invariably possesses. Courage: The first and the foremost quality of a hero is his courage. A hero always overcomes his fears and confronts any challenge head on. Even the faintest tinge of fear doesn’t linger in the heart of a hero. Virtuosity: Virtuosity is the key aspect of a hero’s character. A hero is never foolishly audacious. He always is judicious and well skilled to cite and cease the opportunities, which present themselves on the way towards his destination. A hero is laden with all the essential faculties, which are instrumental to accomplish what he seeks. Sacrifice: Sacrifice is a quality that stands unique from all the other virtues which makes a hero noble in his deeds. He or she is always quite willing to cast off the predilections and personal comforts whenever they become indispensable for a higher cause or for the welfare of others.  Determination: For a hero the word “Impossible” always decomposes to yield “I am possible.” A hero is unflinching in his or her determination and believes in his ability without the whiff of dubiety. Focus: Being focused is also one of the most prominent qualities of a hero. It seems as if all the heroes that have walked on the surface of the earth have been born with definite motives. All their life they hardly lose focus of what they want to achieve or establish. 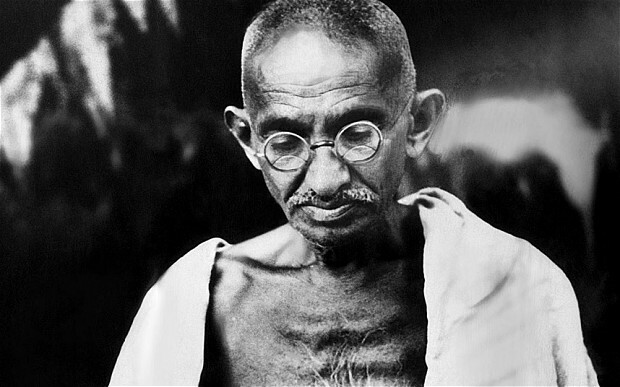 For instance, it appears that Mahatma Gandhi was born with the sole purpose of driving the British forces out of then enslaved India and to preach the world the ideology of nonviolence. Compassion: A true hero is always empathetic, benevolent and shows a great deal of compassion and tenderness to those ailing or in distress. He or she keeps aside thoughts those are oriented to the self and embraces an attitude that serves others. Perseverance: This quality is what that makes the hero special. Even if they encounter failure on their way, they are determined to get over it and fight till they achieve success. They do not give up simply rather they are focused to withstand all the consequences that they may encounter in their path. Dedication: The heroes are selflessly dedicated to their task and will thus focus their actions towards its achievement. They whole-heartedly dedicate themselves to the task, which is set, and work towards its completion. Honesty: In all the endeavors that a hero takes up, honesty forms the base of all his efforts. This honesty earns him the respect of others and helps him leading his followers to the desired goal. Loyalty: A hero is considered to possess fierce loyalties in the sense that he is faithful to whatever tasks they take up. His commitment to a particular cause leads him way beyond others citing an example for others to follow him. Intrepidity: The heroes have a courage that is unshaken despite anything that comes in their path of their focused success. They are determined to fight challenges with resolute courageousness. Conviction: Heroes have a strong conviction as they have strong beliefs regarding a particular situation. It is a set of unshakable thoughts or beliefs, which cannot be altered by any chance. Fortitude: Fortitude can be defined as a habit that is involved in encountering a deed that is dangerous with a bright spirit that is adopted with passive courage. Responsibility: Whatever be the type of responsibility entailed on them, they take it up with utmost sincerity and take it to its logical conclusion. Wisdom: Wisdom is the most desired quality, which a leader must possess. A fool can lead a horde of beasts but not human beings set on a definite purpose. Only a wise and astute person can do so. Whatever a hero maybe—a warrior, a preacher—wisdom is always an attribute that all of them possess.